This page contains a summary of new explorable worlds in Kingdom Hearts 3, including the characters Sora and his friends will meet on their adventure. 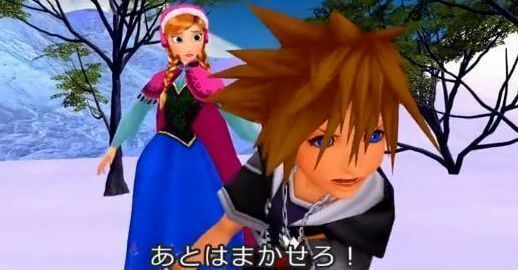 A scene in Arendelle where Sora meets Anna from the Disney movie Frozen has been featured in various game trailers. 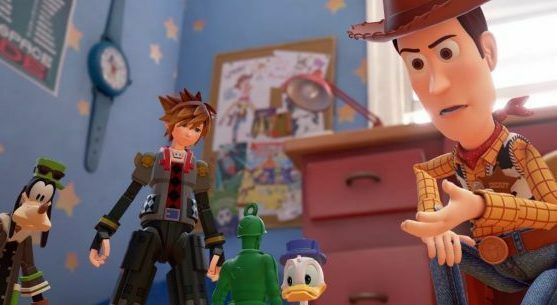 Sora, Donald, and Goofy will travel to the Toy Box and meet the cast of Pixar’s Toy Story. Pictured above are the heroes talking with Woody, one of the film’s main characters. An image released in the earliest promotional material for Kingdom Hearts 3. The world of San Fransokyo was confirmed as one of the worlds to explore in the game. Sora is seen riding on Baymax while battling a heartless version of the film’s hero. 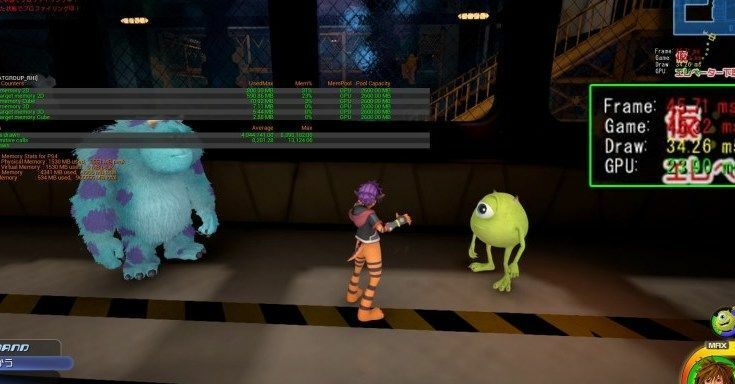 Sora will also travel to Monstropolis and join forces with Mike and Sulley from the movie Monsters, Inc. as seen above. 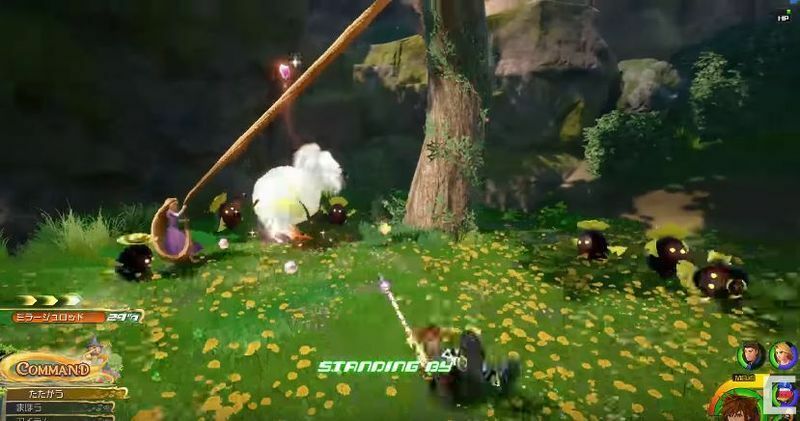 The Kingdom of Corona makes its appearance in the upcoming game where Sora and his friends team up with Rapunzel. The image above shows Rapunzel in battle using her hair to attack enemies.